Q. I don't know what my skin type is. How can I figure it out? A. A great way to determine your skin type is to use blotting papers. 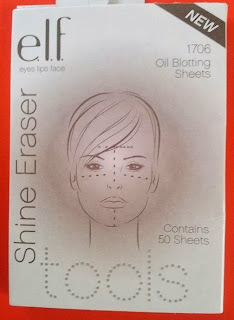 The blotting paper will absorb oil from an oily area and look greasy. Do this test a few hours after washing your face. Apply a sheet of blotting paper to one area of your face, let's say your forehead. If the paper looks greasy, that area is oily. Now apply another paper to your cheek to see if it is oily. Check all areas examining the blotting papers for oil. You have oily skin if all the areas of your face make the blotting papers look oily. You have combination skin if some areas, such as forehead, nose and chin, make the blotting papers look oily. You have dry skin if the blotting papers don't look oily or look only slightly oily.